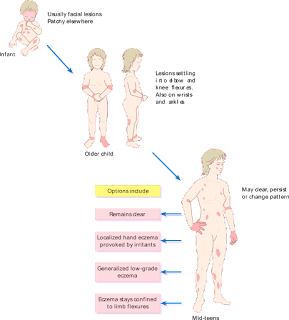 Nowadays dermatitis or eczema is a serious and most common disease, it is a dermatological condition of the skin, in which skin infected with itchy, swelling and irritation rashes. The skin gets redness, inflammation and irritation. These skin diseases generally occur due to Haemopathy and metabolism disorders. Here are the sign and symptoms of eczema and psoriasis. The red spots on the skin. Environmental factors like weather changing, infection and dust. Uneven blood circulation in the body. Lack of nutrition in your diet. Excessive use of chemicals and detergents. Extreme use of alcohol and smoking. Very first, take 250 ml of mustard oil and 50 grams of margosa leaves. Heats the mustard oil thoroughly and then put the margosa leaves into this heating oil. Stop heating when leaves turn black. Leave it to become cool. Filter the oil and keep it into a bottle or vial. Apply this oil on the affected area thrice in a day. This is an effective treatment of eczema and psoriasis, Use it regularly and get rid from any kind of skin diseases. You can also try this very simple and effective remedy for it. Take some fresh and clean margosa leaves. Crush them or grind them with plenty of water. Stop grinding when it becomes a thin paste. Filter this margosa juice and drink it. Drink early in the morning is awesome for health. Use this remedy for a healthy life. Note – Keep remember, do not throw the waste pulp. Apply this pulp on affected are to quickly get rid from eczema and other skin disorders. Use it once in a day. Aloe-Vera is also a effective herb for skin diseases, it’s very useful to reduced the skin infections especially eczema and psoriasis. Take aloe vera leaves and remove the outer skin of those. Take out the gel (pulpy gel) from them. Gently apply this gel on affected areas. Wash it after 30 to 40 minutes. You can apply this procedure 3 times in a day to get positive results. Take some margosa (Neem) leaves and crushes them to make a pulpy paste. Add equal amount of turmeric powder into this pulp. Mix properly and leave it for 10 to 15 minutes. Thereafter, apply this paste on affected area to get quickly relief from eczema. Sulfur is a best treatment for eczema and even it’s best for any kind of skin diseases. You should take a daily sulfur supplements via foods, drinks or any other recommend forms like tablet, powder etc. You can eat foods are contain sulfur, they are Wheat germ, Garlic, Cabbages, Soya-beans or Soy-beans, Dried beans, Brussels sprouts, Eggs, Green leafy vegetables, Turnips, Onions and fish. b). Sulfur Bath: – you can use the bath treatment of sulfur or sulfur bath. It can easily get it from any organic store as sulfur bath treatment. You can also use sulfur soap and shampoo. c). Sulfur supplements: – You can use sulfur tablets, creams and lotion, which are available in the medical stores in any country. Precautions: – Don't take sulfur more than recommended dosage, you can take it after consulting with a specialist doctor. Eat more protein, vitamins and nutrition diets. Wear cotton clothes and loose clothes, avoid tight and unsuitable clothes. Use proper soap for bath, soap may be causes for skin infections. Use topical cream or ointment for eczema or skin diseases. Include green leafy vegetables and fruit into your food. Keep calm and happy, do away from stress. You should avoid direct scorching sun-rays. Try some physical exercises and yoga to live fresh & cool. Use triphala powder to cure any kind of diseases. Apply anti-fungal or anti bacterial cream to get rid of them. Prohibited diet – you shouldn't eat salty foods like’s tamarinds, tomato sauce, dried mango powder (amchoor) or curd. Also avoid the dairy products with these treatments. Avoid salty foods, salty spices and salty drinks. Avoid fried, oily and fast foods. Stay away from tea and coffee. Avoid alcohol and quit smoking. Do not scratching the affected skin. 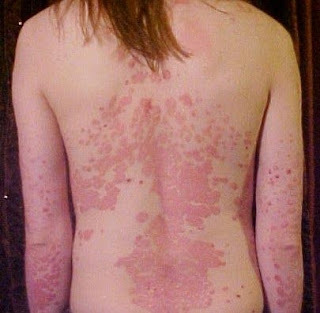 These all the remedies are effective and useful to cure eczema quickly. You can also comment for any suggestions or queries.